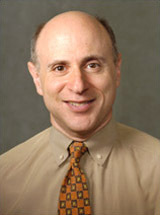 Dr. Ian Frank is the Director of the Anti-Retroviral Clinical Research and Director of Clinical Core at Penn Center for AIDS Research, and Professor of Medicine at the Hospital of the University of Pennsylvania. Penn's Village and the LGBT Elder Initiative invite you to join us on Friday, June 29th at 1:30 PM at the William Way Community Center. Dr. Frank will address the advances in HIV therapies and prevention. He will share new science findings that are also helping us to understand why the course of HIV infection differs among those infected. The William Way Community Center is located at 1315 Spruce Street and is handicapped accessible. Please register by emailing info@pennsvillage.org or by calling 215-925-7333.